Post-storm management can be difficult, but it is much more manageable when preparations have been made in advance. That’s why I encourage all of you to use this week to put together an insurance and financial packet that you keep in a safe place and can easily take with you should you need to evacuate. This packet should include documentation associated with your health and property insurance policies as well as financial account information and contact information for banks and insurance companies. Having these documents put together ahead of time allows you to have ready access to all of the information necessary to file an insurance claim, whatever your situation may be. If you have questions, or simply don’t know where to begin, the Department of Financial Services has created a homeowners insurance tool kit that can be used as a guide. It explains various types of insurance coverage, explains how to create and maintain a property inventory and provides a helpful financial document checklist. 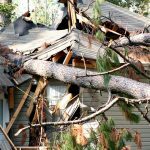 Additionally, you should be familiar with the homeowner claims bill of rights. 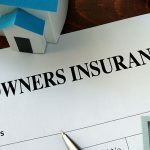 The homeowner claims bill of rights summarizes, in simple, nontechnical terms, your rights as a policyholder during the property insurance claims process. 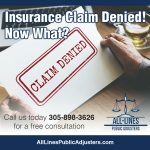 For example, did you know that you as a policyholder have a right to receive acknowledgment of your claim within 14 days after the claim was filed, and that within 30 days, insurance companies are required to tell you whether your claim is covered partially or in full, is being disputed, denied or requires more information? And lastly, that within 90 days, insurance companies are required to pay non-disputed claims? To learn more, please visit http://www.myfloridacfo.com/division/Consumers/Storm/.